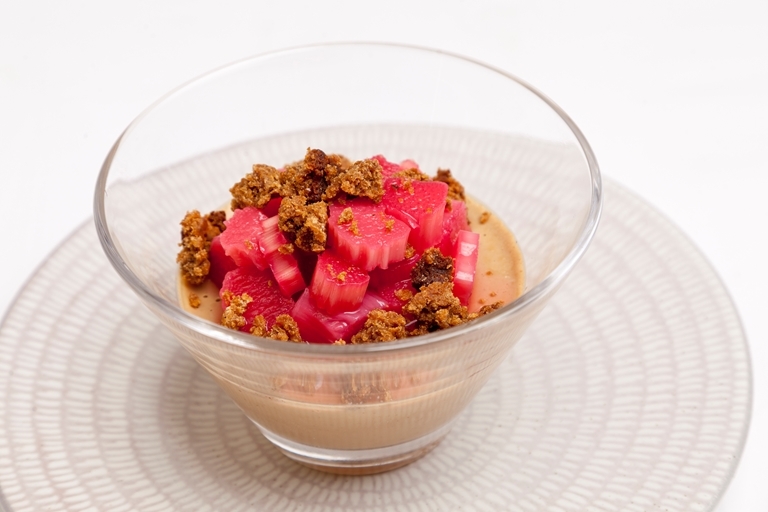 James Mackenzie uses forced rhubarb - a speciality in his native Yorkshire - as a superb accompaniment to liquorice panna cotta. Keeping with the local theme, Mackenzie also includes parkin, a kind of sticky ginger cake. You can get shop-bought parkin if you're short of time, but why not reap the rewards of the recipe and enjoy any leftovers with a cup of tea?